The Oklahoma Beer Alliance is a trade association lobbying for common sense laws to better the business side of beer. If beer was a mullet, they are the serious side up front. When they needed branding we had an interesting callenge of promoting the industry without promoting the product. This wasn't about buying or drinking beer. This was about the ecomic impact of the thousands of jobs this industry provides locally. 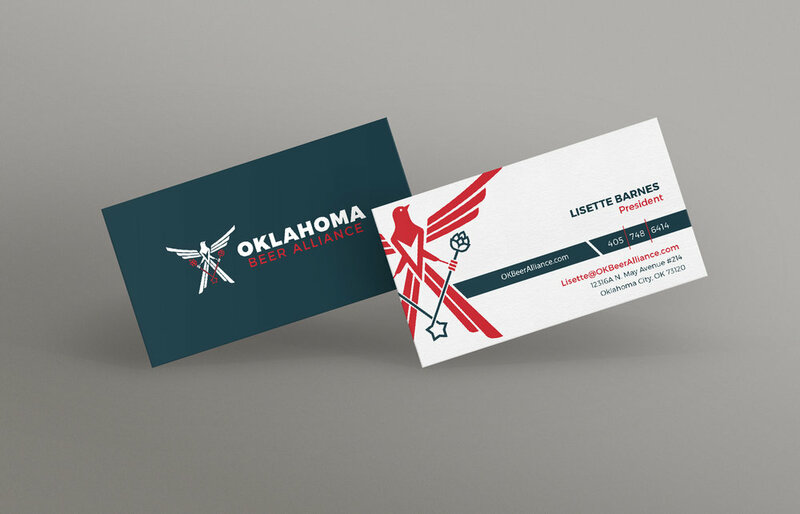 For the logo, we wanted a way to tie in a reference to the state of Oklahoma without being completely overt. 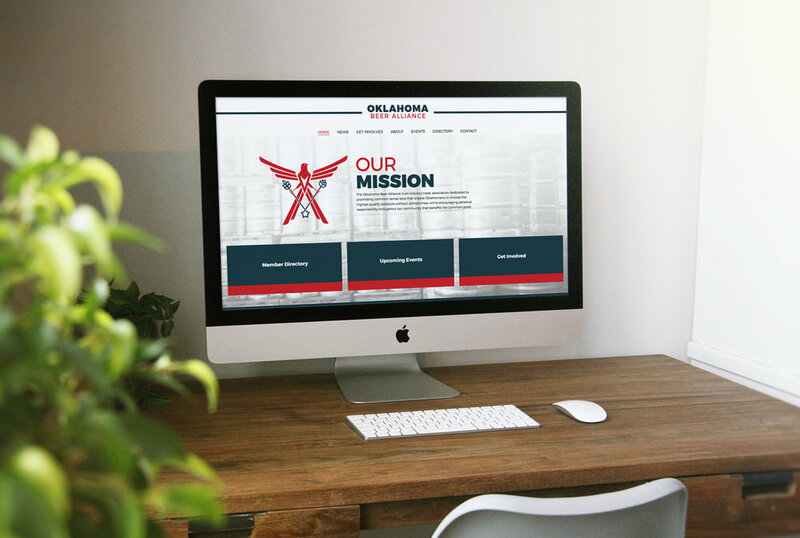 Our solution was a scissortail fly catcher in which the wings to echo the shape of the state of Oklahoma, in its feet it holds crossed staves of grain and hops creating a subtle A shape, for "Alliance" in the tail. The color palette is based on the original Oklahoma state flag. The web design is a crisp relection of the branding, featuring some gritty, no-nonsense photography of the workers in action.